Over the past couple of weeks, I have pushed my body to new heights. Am I an Elite athlete? Far from it. I am just a 42-year-old guy who wanted to do something hard. As I have shared in the past, I am a Half Fanatic (www.halffanatics.com). Half Fanatics are people who run an above average number of half marathons. You have to qualify for the group by running a minimum of 3 half marathons in 90 days. One of the fun things about being a Half Fanatic is determining what level of crazy you are. When I qualified, I was simply on Neptune. As you do crazier things, you can move closer to the Sun. 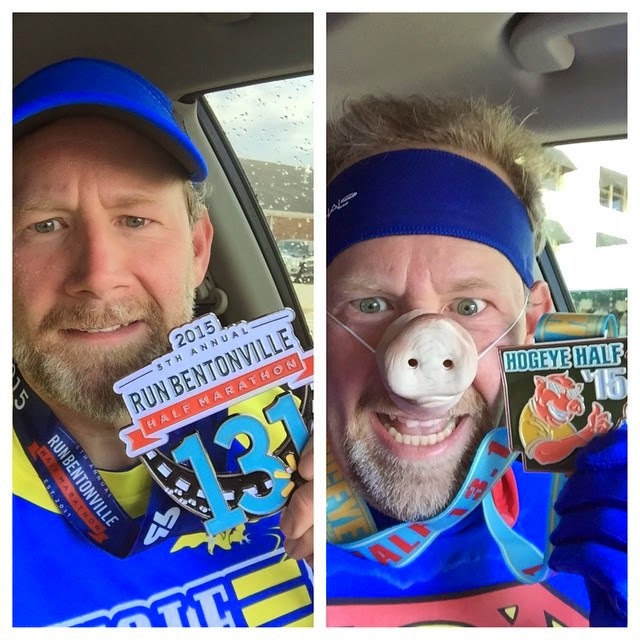 On March 28 and March 29, I did back to back half marathons. That moved me to Jupiter. Will I ever get past that level? Probably not. To get all the way to the Sun, you have to run 52 half marathons in 365 days. Now, that’s CRAZY! If running the Run Bentonville Half and the Hogeye Half back to back wasn’t enough, I traveled to Irving, Texas just 6 days later to support my mom and wife as they ran the Valley Ranch 10k in Irving and I ran the Irving Marathon. Now, I have completed 7 official full marathons in 5 different states. 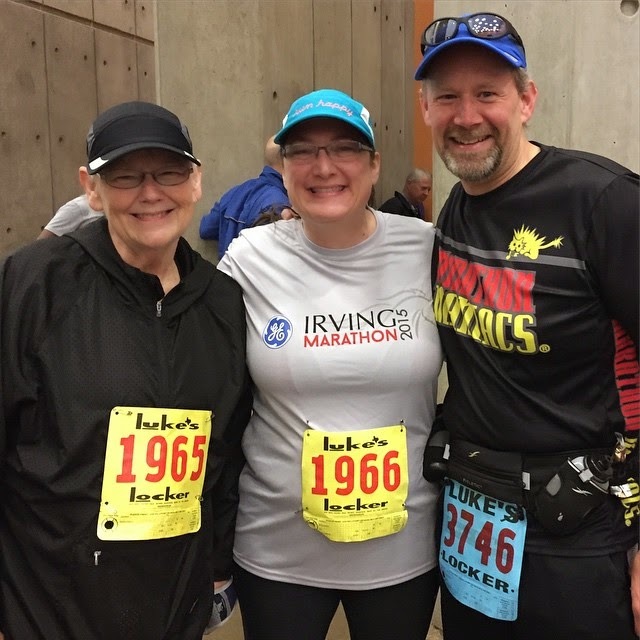 Barbara, Temple, & Dan Carson at the Irving Marathon. I have friends who don’t understand my craziness. Sometimes, I don’t. In fact, as I kept getting slower and slower at the Irving Marathon, I really questioned my sanity. Running two half marathons and a full within a week is not what normal people do… But should it? Now, I’m not saying that everyone should take up running marathons. You may not be able to walk around your block right now. However, a healthy and balanced life includes challenges. What have you done lately that has pushed you out of your comfort zone? Have you become content with just sitting on the couch and watching TV? My mom didn’t take up running until she turned 62. She walked away with a 1st place in her age division for the Hogeye 5K on March 29th and for the Valley Ranch 10K on April 4th. My mother and my wife both continue to amaze me. They are never afraid of doing something hard. Last year when we decided to do the Warrior Dash, my wife powered through. She never quit or gave up. She could have walked around some of the obstacles, but she didn’t. Have you done something hard lately? Why not?